Should cities treat Airbnb rentals like any other hotel room? What kind of insurance should Uber drivers carry to protect passengers? These are just some of the questions that the Federal Trade Commission will (probably) be discussing in an upcoming workshop exploring the so-called “sharing economy.” And it wants to hear from you. 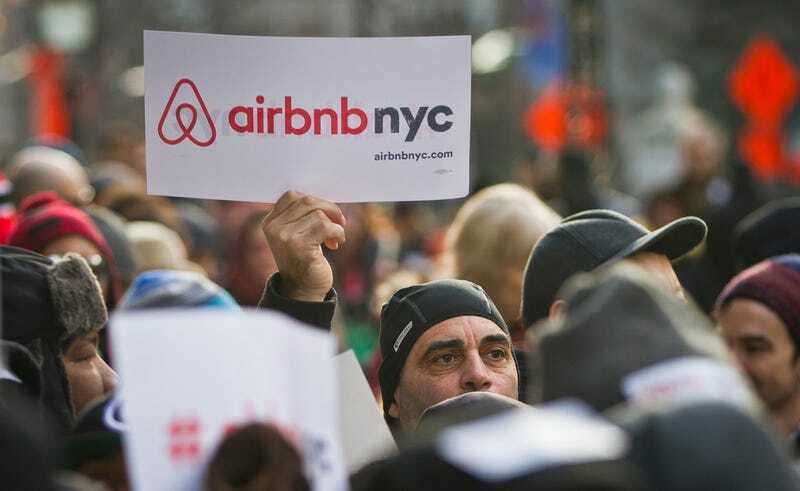 Despite fears from some quarters about the specter of overregulation, the FTC sounds pretty bullish about the future of companies like Uber and Airbnb. And it’s no wonder. By the FTC’s own estimates, the sharing economy was worth $23 billion globally in 2013. It expects that number to balloon to $110 billion in the near future. In the lead up to the June 9th workshop, the FTC wants to hear from the public. You can submit your comment online. The questions it’s interested in appear below. How can state and local regulators meet legitimate regulatory goals (such as protecting consumers, and promoting public health and safety) in connection with their oversight of sharing economy platforms and business models, without also restraining competition or hindering innovation? How have sharing economy platforms affected competition, innovation, consumer choice, and platform participants in the sectors in which they operate? How might they in the future? What consumer protection issues—including privacy and data security, online reviews and disclosures, and claims about earnings and costs—do these platforms raise, and who is responsible for addressing these issues? What particular concerns or issues do sharing economy transactions raise regarding the protection of platform participants? What responsibility does a sharing economy platform bear for consumer injury arising from transactions undertaken through the platform? How effective are reputation systems and other trust mechanisms, such as the vetting of sellers, insurance coverage, or complaint procedures, in encouraging consumers and suppliers to do business on sharing economy platforms?